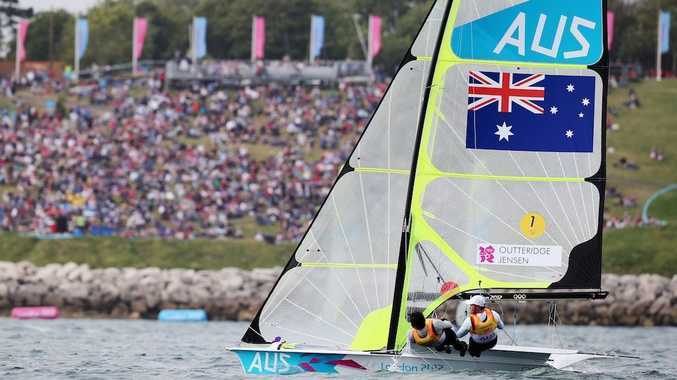 THE Australian sailing duo of Nathan Outteridge and Iain Jensen cannot be caught in the race for gold in the men's 49er regatta. The pair will claim the gold medal despite there still being one round to complete in the competition. The Australian pair took an unassailable lead after their closest rivals, New Zealand pair Peter Burling and Blair Tuke, failed to close the gap. Outteridge and Jensen's success follows Tom Slingsby gold medal victory in the men's laser category. The final round of the 49er class is completed on Tuesday (London time).